Anxiety about dental procedures can be very normal and we want you to be as comfortable as possible during your time in our office. We offer various levels of sedation for your procedures and will be happy to discuss the options with you. Please initiate the discussion during your exam visit with us. At Jason J. Augustine D.D.S., M.S., P.C., we want you to be as comfortable as possible while receiving your care. We offer various levels of sedation for your procedure. Most appointments can be accomplished with incremental dosed oral conscious sedation (a systematic administration of relaxing medications), however semi-conscious sedation or even deep sedation may be needed and chosen as an appropriate option for you during the procedure. For this scenario, we co-manage your care with a certified dental anesthesiologist to administer the needed level of IV sedation comfort. Your safety is our top priority. 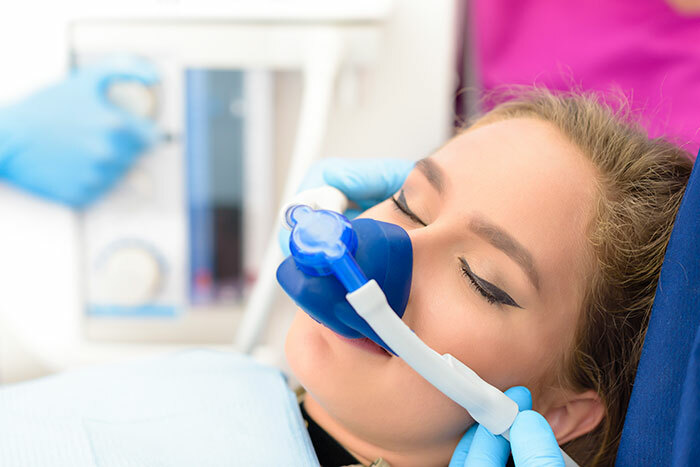 The fees for these services are not typically covered by insurance, and the additional cost can vary based on the type of sedation chosen and the length of surgery and sedation management. Dr. Augustine can discuss the sedation options for your treatment in detail at your next appointment.